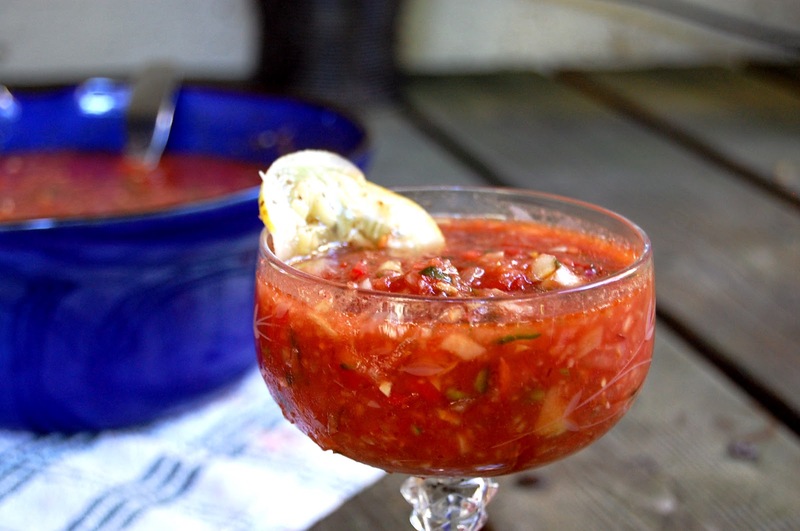 Come late summer, gazpacho is the answer for everything. Can’t get rid of your garden’s zucchini harvest? Gazpacho! Feeling sugar overload from ice cream and berry desserts? Gazpacho! Too warm to eat hot food? Gazpacho! The beauty about this dish is that you can pretty much take any produce you have on hand and create something fresh and light from it. The recipe below is an approximation; substitute your own veggies if you don’t have the exact ingredients. 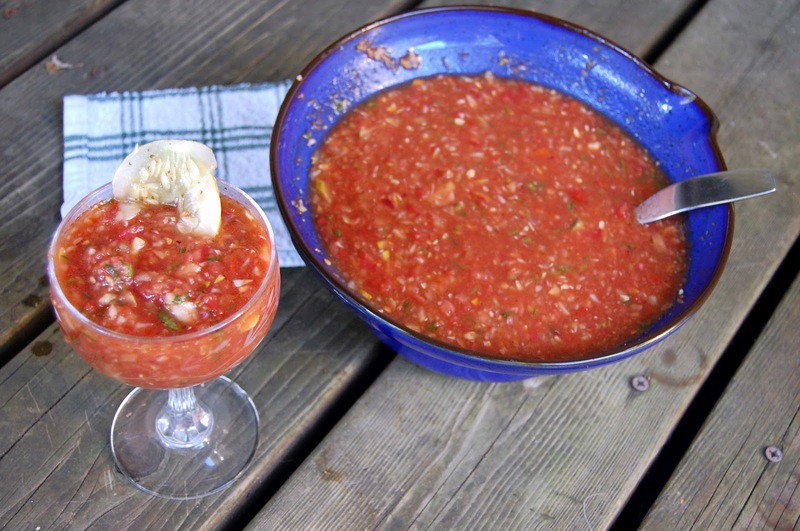 The key is to keep the tomato juice, lime juice, garlic and olive oil to ensure that it’s a soup and not a salsa. If you have a food processor, use it to roughly dice the remaining ingredients and add them to a large bowl when done. If not, just dice them by hand and add to a large bowl and stir to combine. Stir the juice mixture into the vegetable mixture. Add salt and pepper to taste. Variation 1: To make the gazpacho more filling, add a cup and a half of cooked and chilled shrimp. Variation 2: Get a little crazy by adding summer fruit, such as a nectarine, peach, plum, or berries. Variation 3: Add some bite by incorporating a seeded jalapeno to the vegetable mix.